Localization Best Practices - CTRL+CLICK CAST - We inspect the web for you! Your browser doesn't support HTML5 audio, and won't play Localization Best Practices with Ira Frimere and Michael Harris. You can download this episode to play on your preferred media device, or you can read our transcript. Go beyond Google Translate! Acclaro’s Ira Frimere and Michael Harris join the show to discuss the business, development and process that go into localization for the web. We dive into client workflows, the business benefits of localization, balancing machine and expert human translation, as well as the UX, front-end and CMS considerations for multilingual sites! Creating a multilingual website can boost your global success. And maybe in some instances for certain markets, as a company, you may say, “Hey, it just has to be good enough.” It just has to hit a checkmark somewhere and say that we have it, but if it’s going to have an impact on your business by selling more in a certain region or drumming up more leads, then understand what those success metrics are and study them and try to correlate them to your investment. Lea Alcantara: Today’s episode is sponsored by Vector Media Group. Vector Media Group is a full-service, interactive agency based in New York. They specialize in web and app design development and online marketing. 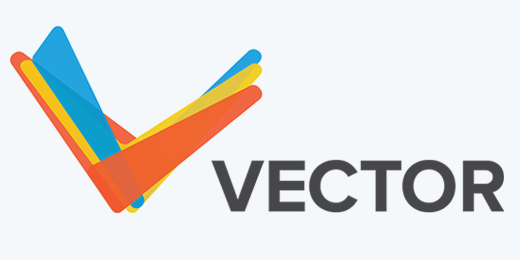 In addition to custom platforms, Vector is widely known as a top Craft CMS and ExpressionEngine partner and has done lots of work integrating Craft with single sign-on solutions. Get in touch today at vectormediagroup.com. This episode is also sponsored by Craft CMS. 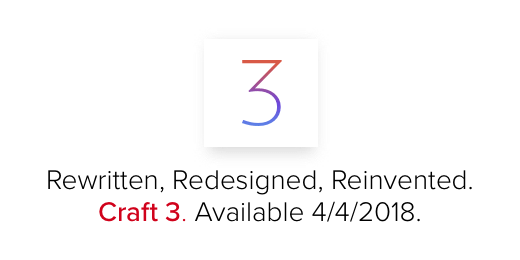 The release of Craft 3 is just a days away. Craft 3 features the Craft plugin store where you can install plugins directly from the control panel, multi-site, an improved image editor, and more. Craft 3 has been completely refactored and rewritten for optimal performance so it’s fast. The Craft team has also recently launched Craft ID, a portal where you can purchase and manage all your Craft licenses and plugins. You can sign up for your Craft ID today at id.craftcms.com, and Craft 3 will be available on April 4th at craftcms.com and on GitHub. Emily Lewis: It’s been nearly seven years since we talked about web localization and a lot has changed, so we’re excited to have Ira Frimere and Michael Harris on the show to talk about today’s best practices. Ira is the VP of Product at Acclaro and Michael is the Lead Solutions Engineer. Acclaro provides translation and localization services for everything from websites to software to traditional documents. Welcome to the show, Ira and Michael. Ira Frimere: Thank you for having us. Michael Harris: It’s great to be here. Lea Alcantara: Thank you. So can you tell our listeners more about yourself? Ira, let’s start with you. Ira Frimere: Sure. So I joined Acclaro just about two years ago. I’m based out of our New York office here in Westchester, which is about 30 minutes north of the city and I have two young boys, so I am always trying to make sure that they understand the translations of parenting at home. Ira Frimere: And I’m trying to work how folks understand each other across the different languages. Lea Alcantara: How about you, Michael? Michael Harris: Yeah, I work in our San Francisco office, and I’ve been in the translation industry for ten years. I started out as a freelance. Well, I actually started out as an English teacher and then I became a freelance translator and eventually I worked into the engineering area, and then I’ve been working with a lot of different kinds of companies here in California, with technology companies and more traditional businesses. Emily Lewis: Fascinating. So I’m curious, Michael, it feels like a natural fit to go from like an English teacher to working in translating because it has so much to do with language and communication, but how did you get into the engineering aspects? Michael Harris: My first job was for a company that did medical device, the pharmaceutical translation, and those sectors tend to be kind of far behind, technologically speaking, so there were a lot of things that just had to be figured out and I found that I was really good at kind of digging into these obscure problems. There’s a lot of research and translation and I think that’s really where the transfer came from, being able to dig through documentation and find answers to problems that weren’t immediately obvious. Emily Lewis: Let’s start with the basics, what is localization? Is it is simply translating websites for different languages, or is there more to it than that, Ira? Ira Frimere: And looking back on that question two years ago, I can’t believe I asked it, but I think also many other folks like me who didn’t understand the nuances of localization and translation have the same question. So I think what opened my eyes was trying to go to a website that was professionally translated in a foreign language that I didn’t speak and then trying to translate it to English and read that, and then you realize where the automated translation can help and where it really can’t. So that’s where I learned it’s not about translating the words, but it’s about translating the message and translating the intent and the context. Ira Frimere: And so that was kind of the big wake-up call for me and then there’s a lot of different semantics between translation versus localization, but for me, the localization aspect then comes into play when you really need to change a message for cultural reasons. Ira Frimere: So something that means one thing in the US might mean something else overseas, and that’s where of the human translation benefits really come into play as well because you have to understand what make sense in different markets. Lea Alcantara: So how about you, Michael, is there any development or nuances to localization that people need to know? Michael Harris: Yeah, I think that there are a lot of details around making your app work in multiple locales, so there are, say, like date format, how you show your decimal separators. Michael Harris: There are a lot of little things like that that are very different between countries, and I think a lot of people take them for granted. Currency format is another big one. Everyone writes this differently, so you need to make sure that your application is ready to support a lot of different cases and things that you might consider to be very basic and you might just take for granted would work everywhere. There are also, as Ira said, a lot of considerations around making sure that your content will be interpreted the way you want it to be in your target market. Not every message is going to be understood the same way, and not all of your choices around things like tone will be received the same way. We may, in America, like to have a very informal tone in some of our marketing communications, but that can off very badly in other cultures. So there is an adaptation aspect as well that’s very important. Emily Lewis: Is that the biggest misconception you think about localizing for the web, that it’s simply translating words as opposed to what you described, which is more about message and tone? Michael Harris: Yeah, I think the biggest misconception you actually see more has to do with the people. I think a lot of people do actually, on some level, understand those problems. I think the misconception that often comes about is that people think that simply having some proficiency in another language or having a group of people who are willing to translate means that you have a qualified pool of translators. So I think there’s been a trend over the last ten years since Facebook had their crowdsourcing effort to try and find ways to do community-driven localization or crowdsourcing rather than using qualified professional translators. Michael Harris: And that does work in some cases, but we’re seeing increasingly that this has become like a new stepping stone to your localization maturity, like companies are increasingly having this period where they use crowdsourcing, inexperienced translators, and they end up with really bad quality and then they have to find a way to work past that. Michael Harris: So I think that, yeah, there’s a tendency to disregard the value of a well-trained professional translator. Ira Frimere: The other thing I would add that I’ve seen, too, is also for companies looking to translate their website is to make sure they have clear ROI business models in place to determine whether or not investing in a language makes sense or not. Ira Frimere: I think where I’ve seen a little bit of immaturity, so to speak, just in terms of saying, “Okay, if we’re going to pay a significant amount of money for good quality translation, how can we benchmark and determine if that was successful as opposed to just running it through machine translation and getting, let’s say, poor quality or using crowdsourced translators?” And maybe in some instances for certain markets, as a company, you may say, “Hey, it just has to be good enough. It just has to hit a checkmark somewhere and say that we have it.” But if it’s going to have an impact on your business by selling more in a certain region or drumming up more leads, then understand what those success metrics are and study them and try to correlate them to your investment. Emily Lewis: So could you talk about that a little bit more because I’m not that familiar with it, but what you’re starting to talk about really rings familiar in terms of when we’re just talking to a client about what CMS they should invest in, and that we get to understand like what their business goals are, what their staff like operations need to be. Emily Lewis: So what that does look like when you’re working with an organization who wants to invest in localization, but you need to tie it to goals? What are those conversations look like? Ira Frimere: Oh, I might go into more of the technical details, but again, being relatively new to localization, I was kind of floored with how many CMSs are out there. So obviously, you have the WordPress and the Drupals so that they have names, but then you have Kenticos and Joomlas and Adobe Experience Manager and a wonderful up and coming CMS in Craft, so there are just so many choices. It is really difficult to figure out what the right solution is, and I think localization is not the only criteria you need to value, but it should be a really important one if you believe that at some point you want to bring your website and your apps that are built on the CMS and you want to go global, then knowing that that CMS is friendly for localization, to me is an important criteria that should go into the mix. Emily Lewis: Oh, so when you’re talking to an organization that’s going to invest in localization, you’re not just talking about the translation itself and establishing what those benchmarks are, you’re also talking about software like a CMS, too. Ira Frimere: And many times, probably even more so, companies are coming to us with an existing CMS and then they’re just oftentimes trying to retrofit localization, so that’s why we sometimes learn the hard way and had to work with enterprise customers trying to figure out how to export content and import content to different languages, how to configure for the multilingual websites, how to set up the URL structures and different variables, and so through those lessons learned, any customers who come to us and ask for the help on something, a new CMS, we know the right types of so gotchas and pointers to give them to help them with their overall selection. Lea Alcantara: So what are those gotchas, Michael? I think you probably would have the better perspective. Michael Harris: Oh, I think the biggest gotcha is just selecting a CMS that doesn’t have any support translation. Michael Harris: I’d say the best thing you want to see in a CMS is, in addition to just being able to support content in multiple languages, that it can actually export that content so that you can get it to a provider. Michael Harris: There’s a lot. I’m shocked actually at how many CMSs support some level of translation without having any way to get the content out and back in, and that’s really important just for efficiency. If you’re working with a language service provider, there are a lot of tools that we use that can ensure that your content is consistent, that your glossary terms and your intellectual property is being handled correctly, and all of that goes out the window if we’re not able to get the content out of the management system. Michael Harris: So we find that some of the bigger systems, Drupal and WordPress, support this very well. Some systems, not so much, and we always will do a bit of digging to make sure that what they’re using or what we’re recommending isn’t going to lead to more work copy pasting or having to do crazy work around. Ira Frimere: Yeah, so our philosophy to help our clients in the most efficient manner is saying, “Well, if you’re working in your CMS on a daily basis, isn’t that the place where you want to order translations from and review initial draft translations we provide to you, get feedback and then receive the final translations and quickly publish,” and that’s pretty straightforward. That’s something that all of our website translation customers want to do. Ira Frimere: And so like Mike said, some of the bigger CMSs like WordPress and Drupal have been fortunate enough to have some sophisticated really nice plugins; WPML for WordPress, TMGMT for Drupal, that have enabled growing on top of the native functionality in the CMS to make it even more easier for multilingual, especially when it comes to involving professional human translators in the most efficient way, as Mike said, so that we can use our tools. Ira Frimere: And it really is all about getting that content out and then getting the translated content back in in the most seamless fashion that allows language service providers like ourselves or even freelance translators with a way, a safe way, that we can essentially do the translations more without having to be logged into your CMS’s back end, or log into a customer’s CMS’s back end and doing a bunch of inefficient copy paste. Emily Lewis: Yeah. That was what I was just about to ask you, if what you were describing was that you had to log into their CMS and work with that, so you’re working with your tools most efficiently and then the clients hopefully has a CMS that can import and export easily that content from your tools so that they use their tools that they’re efficient with. Is that right? Michael Harris: Yeah, and I think something that’s really, really interesting about this is that from where we are, if the client gets into this position where they need to be copy pasting, that problem doesn’t usually end up falling on us. Usually, it’s the client who is the one who ends up having to do all of the copying and pasting. Michael Harris: So I think it’s even that much more important if you’re in a case where you can’t push it off your position under. Ira Frimere: Yeah, and the plugins have matured to a point so the vision is definitely you’re an enterprise customer, you’ve installed the multilingual plugin, you’d connect via the Acclaro or for us, our Translation Service Provider’s API or connected to the plugin, and then you as a customer just select content, send to us, tell us what languages you need to translated in, we do the translation, send it back to you, and we never have to log into your CMS, and that’s the vision. Ira Frimere: But to be entirely honest, yeah, we’re not there yet as an industry. Ira Frimere: Just because all the CMSs are so completely unique from each other, especially with the extreme plethora of third-party added plugins that create additional kind of complexities. Ira Frimere: So if you’re using a certain plugin that has a form, well, how do you get that text in that form translated in an easy way? But the vision is definitely there, and we are getting closer. What we find is oftentimes with newer customers, we might need to log in with them to a staging site in the beginning and then once we get everything set up, then we’re really not logging in at all and then we can get that initial vision into a reality. It’s not a plug and play and power and start. Emily Lewis: And I know, Ira, you mentioned that you are, at least compared to Michael, a little bit newer to the industry, but from your perspective, especially involved with the product direction, do you feel like that vision that you’re describing where we’re not quite there, but the vision is there. Is that’s what’s really changed about localization over the years, that there’s now kind of cohesive idea of the direction that that the technology needs to go. Whereas it feels like when we talked about it before, I don’t think we even discussed this concept of the workflow between the translation service and the organization that needs the localization and it really was just cutting and pasting and working very manually. Ira Frimere: I mean, I think even in just the two years that I’ve been involved, I have seen its active development in those creating plugins and connectors for the LSPs (Language Service Providers), so I think the LSP industry is pushing very hard, realizing that if we want to continue to get business in translating websites, we need to make it easier for enterprise customers to do so, and if it’s a real headache for them, they’re just going to try to figure out whatever is the easiest path that may not include LSPs. So I’m definitely seeing a push from the LSPs. I’m also seeing a push from the CMS vendors as well because for the larger enterprise customers that are going to pay more for the website development and the CMS maintenance and the CMS features, they are going to be looking for localization capabilities as well. So I’ve definitely seen some improvements over that past two years and I’m excited about the continuing improvements that will be coming. Emily Lewis: You know, I want to ask Michael about the development evolution, but I’m curious, Ira, if you could touch on it. Do you see any changes with especially like enterprise organizations wanting more localization than they have in the past? Is there a business need that’s driving this? Ira Frimere: Let us backtrack. I think what we’ve talked about earlier, which is some enterprises have to go, let’s say, global for legal reasons, and then the other enterprises, it’s about understanding their opportunity costs and opportunity potential in going to those different markets. Ira Frimere: What I’ve seen with some of our customers who may be starting with one or two languages, when they realized working with an LSP such as ourselves, we’re not about translating your words on your website in the different regions, but we’re about helping you be successful in a different market that you choose to operate with all of your content. Ira Frimere: I think when they realize, yeah, it’s more expensive than if I just found a freelance translator on the web somewhere or tried to get volunteers in my company across different markets to translate, there is added cost in dealing with a professional LSP, but when we kind of remove the headache through them of having to manage it and we can show them how quickly they can A/B test in different markets to determine what messaging works, then I think we have seen some increased business from that, and it’s really about creating a hybrid also where we’re not viewing machine translation as the enemy of our business, but we’re viewing it as a productivity enhancement. Ira Frimere: So it’s not really humans versus machines, but it’s humans empowered with machines so that allows us to do things better and faster and more efficiently. Michael Harris: Yeah, and just talking about the volume of people looking for more translation, I think what’s really happening over the last ten years or so is that the amount of content that come to me, that we are producing that could be translated has really gone up, particularly contents that’s being produced by user or knowledge-based content, things like that. So services like machine translation, I think where we are right now, kind of to what Ira said, they’re not exactly replacing the human side, but they’re making it possible to process a lot more of that content because if you were to handle all of your user-generated content or all of your knowledge base at the same price point that you do use for your core documentation, you could just never afford to do it. Emily Lewis: Yeah, you’re right. Michael Harris: So the machine translation gives you a way to do a good enough job and get more of that content out there maybe at a lower, but still acceptable level of quality. Lea Alcantara: So I’m just curious about how that balance between machine-generated content and human-curated content is met when you’re trying to develop for a site, like is this more really a workflow situation or is there a development solution? Michael Harris: Well, when I started in the industry, I’d say that localization still is you had the feeling a lot of times that it was an afterthought, that the application hadn’t been planned with localization in mind and there was going to be a lot technical debt that had to be cleared to do it. Michael Harris: With all of the advances we’ve had, particularly in open source software, over the last ten years, I think that the development aspects of localization have become much clearer and much better defined. All of the major frameworks that we see commonly used now actually support internationalization and localization database. So if you’re working with Node or Rails or Django, any of those frameworks have built-in localization functionalities that work really, really well. So I think that some of the development aspects of localization have gotten a lot simpler in your kind of standard web apps and things like that. Michael Harris: The question of what the mix of human to machine translation should be is really more I think a business problem. Michael Harris: So you’re going to want to use high-quality human translation for your software obviously, like you want to make sure that you have a translator who understands what your software is doing and what it looks like on the screen and what really needs to be communicated to the user. And generally, a lot of the contents that you end up looking at from machine translation might not be in the core application. It’s more likely to be in something like ZenDesk or your Jira service desk or whatever you’re using to collect that information from your user. So it’s a little bit different from just the normal development question. Ira Frimere: I would just add to that, I think for our customers who do have mature processes in place to understand the success of their content, how much is being read, how long folks are on sites for, they can always order additional enhancements. So for instance, if you have a blog post and you want to try it out in fifteen different languages, maybe the top five most spoken languages, you want to immediately pay for human translation, but for the other ten, you can just do some machine translation, and ideally you’ll use, let’s say, customized engine, your language service provider would manage this so it would be better than what comes out of just the native web because it will have your consistent terms and guidelines, but it will be really inexpensive to roll out, and then if you’re measuring the readership, you can just say like, “Hey, maybe in this market we’re getting high volume of clicks, but then people are just dropping right away.” So you know you have, let’s us say, a catchy headline, but the content isn’t well written, so what you can do is just turn a lever and up the quality. Ira Frimere: So maybe there are some opportunities there again that would leverage the gist of what the machine can put out with a quick turnaround to enhance based upon readership of. Emily Lewis: So Ira, you had mentioned right there using a machine that has been customized for your own terms and phrases, can you describe that a little bit more? That’s totally different than something like just dropping in like a Google Translate plugin, right? Ira Frimere: Exactly. You know, Mike will be able to better explain all the terms here, but from a high-level business perspective, when you’re working with a language service provider such as us, we store what’s called translation memory, and what that is, it’s everything we’ve ever translated for you, we keep in a database across the different languages. So we keep track of all that information in this high-level translation memory and you can use those memories to train machine translation so that it follows those rules as well, thus increasing the quality when the translation occurs, and that is oftentimes significantly better than what you will you get from just dropping it in to a free cloud-based solution. The other thing is if your content is proprietary secret in any way and you don’t want to just put it into Google Translate’s open to everyone world, then the custom engines are a better way. Ira Frimere: There’s also a newer technology called Adaptive Machine Translation, which is essentially when a professional translator opens up what we call our CAT tools (Computer-aided translation), the memory that exists will provide recommended translations based upon what’s in the memory already and then further enhanced with the trained machine engine, thus making the human translator even faster and more productive. So that’s all the things kind of what we’re looking at and it’s all about finding the right content for the customer with their target markets and figuring out what the right level to invest for them is. Emily Lewis: So Michael, in terms of what he was just describing, are you building those tools? Are you integrating with those tools or some kind of combination of both? Michael Harris: We integrate with those tools generally. Michael Harris: We have some partners that we work with who provide tools and then there are also like the big players like Google and Microsoft have their own platforms. Obviously, it’s pretty difficult to compete with Microsoft or Google if you want to build a machine translation engine. Michael Harris: But I think the value that we really try to bring is, understanding when the engines work well, which approaches work well, and how to join those with human post editing to get a good product. It’s not always intuitive and a lot of times, we actually have to evaluate multiple engines, like we will look at for a certain content based on the amount of data that we have. We will look at Google Translate or Microsoft Translate or neural versus statistical output and see what gives the best result. On top of that, if we’re having human post edit, which is where we have translators who go through and look at the machine output and make adjustments to make it more correct or readable, that is not a trivial thing to train people to do. Michael Harris: So you have to establish guidelines. You have to make sure that people aren’t over editing, and if you don’t control that process, you’ll end up just retranslating what the machine is giving you, and if you don’t use people who are good enough at it, you will end up letting mistakes fly through. I actually had a case just the other day where we were translating. We used the Google neural translate to do this like product description, and it was originally in Korean and it was for like laundry detergent. Michael Harris: And the instructions were, you know how to use laundry detergent, right? Michael Harris: Like everyone gets it. So the way the translation came out, it made a little mistake in the grammar and the translation came out as like it basically told you to take all the clothes out of the washer and then put them on your body and then start the washing machine. Michael Harris: It never said anything about the soap. Michael Harris: But this was actually a really small error and without the right training or attention, it would have gone right through. Michael Harris: So controlling things like that is really where we add value in the process. Emily Lewis: Yeah. I feel like what you and Ira have described is a really good example of the questions that are going on in today’s larger tech industry about the role of machine learning and just letting algorithms go on their own just doesn’t solve the problem completely. Humans need to be involved. Michael Harris: Yeah, I think with translation, this has been the challenge for translation over the last few years. I think in some ways, we old school translators have maybe lost the megaphone on our own profession, and there’s a lot of hype, there are a lot of new technologies, and these technologies are absolutely amazing and they can really do a lot of things to increase productivity, but your computer at the end of the day doesn’t really understand what you’re saying. Michael Harris: And there is still no replacement for a well-trained, experienced translator looking over the computer’s shoulder. Ira Frimere: But I would say for translators, I think the translators who are getting familiar with the latest and greatest and figuring out for themselves on their own work where the hype is just hype, but where the hype is warranted and where they can figure out how to use this tool, the NT (neural translate) tools to enhance their productivity, it’s in their best interest to do so, and if they don’t do these things, then they’re going to be limited in the amount of opportunities that they can win. Emily Lewis: Yeah. I feel like, Lea, this has so many echoes of our conversations about artificial intelligence with Jason Tselentis. Emily Lewis: So I’ll make sure for our listeners that we will include a link in our show notes to that episode because it’s very much that same concept, but from like the design industry perspective on where machines play a role and where the professionals who can find a way to leverage them for their benefit, but also know what’s not going to help, it’s a delicate balance and there are so much kind of bombarding us these days with, as the technology just rapidly evolves. Ira Frimere: Yeah, the hard part as a language service provider to add to that is that what happens is the perception can become reality with our enterprise customers. Ira Frimere: So you may have customers who say, “Wait a second, I used to pay this for human translation and now I want to pay a much significantly lower price,” and that’s not good for us because then we can’t deliver the same quality and it’s a little bit of a problem. Lea Alcantara: So regarding that, like I mean, what do you do? How do you set client expectations for what it takes to have a well translated and good workflow site? Ira Frimere: For us, it’s all about being open and honest and transparent with our customers, and like Mike said, we don’t just look at one engine and only use one engine or look at just one workflow and only use one workflow. Ira Frimere: We try to figure out for our client again not only what their translation goals are, but to figure out what their business goals are, and then we build from that and build out the right localization processes. Michael Harris: And I think there’s a huge array of translation services that are available. So we at Acclaro are really big on having the best translators we can have and the highest quality we can deliver. If that’s not what you’re looking for, then there are cheaper alternatives. We might not always be the best fit if you’re just looking for the cheapest possible solution. Emily Lewis: Is it possible to sort of describe a sample website client and what they might go through in terms of the beginning of identifying what they want to translate to actually making it happen? Maybe it’s just – I don’t know – maybe a regional southwestern company that wants to market in the Mexico region. So if they have a simple website that they just wanted to reach a new market, what would that process look like for them, if they have a website, to get it translated? Michael Harris: Well, it would obviously depend on what they used to build the website. So assuming that they were working with a WordPress or a Drupal that supports translation pretty well, they want to start by looking at what they specifically want to sell in that target market and how that is different from the content that they currently have on their English site. So they might want to pare down the content to only fit what is going to be launched into that market. They’re also going to want to look at the information on their site to see what’s really specific to the United States. For example, maybe if you fare in like some kind of medical supply area and you have pages on how to make claims with health insurance, and so that system is going to be completely different in your target market. It’s going to be a big business problem for you anyway, and you probably don’t want to translate that content. Another thing that you might want to look at is things like payments. You may take for granted that everyone in the world has a Visa card whereas in a lot of markets, it’s much more common to use things like bank transfers. So you’ll need to make sure that you have information that makes sense in your target market isn’t going to confuse your users because you’re describing something that works in another country, but doesn’t work where they are. Emily Lewis: You know, I have to ask you, Michael, you’re sort of describing, in a way, it’s like a content audit. Emily Lewis: It makes me think of that, and it’s almost impossible to get clients to do that sometimes. Do you have that challenge, or are these clients already incentivized because they want it translated? Michael Harris: I mean, we do have that challenge. In localization, a lot of times we talk about things in terms of maturity, and this kind of go back to what I was saying that sometimes not every client is a great fit for every service provider. So if a client isn’t at the point where they’re willing to do that and they just want to get all the contents translated and they don’t care if it make sense, then I guess that’s their prerogative, like at the end of the day, we deliver the translation according to the requirements that the client give us. So we can give advice and we can say it would be really great if you would do all this. We could also say it would be really great if you would do like full A/B testing on the stuff that we give you to see how it’s performing. But if the client doesn’t want to do that, at the end of the day, we have to deliver according to the requirements that they defined for us, and so sometimes we might have to do things that don’t seem like a great idea, but if our clients are happy, that’s really what that is. Ira Frimere: Those are great points on the content audit, but I would also say that sometimes we’ve seen companies go into analysis paralysis with their content and say, “We really want to translate in this region, but we still want to make edits and we’re not sure yet and we have to go through all these different hierarchies of approval,” and then before you know it, you’re missing out on opportunities to win in different markets before your competition gets there. Ira Frimere: So what I would advise those companies is pick the most important pages on your website as they are today, let us translate them for you. We’re going to store everything in memory and then if you want to make updates, that’s okay as long as you’re going to be able leverage anything we’ve already translated for you, and if we can make it really easy, then the cost of doing the translation will be minuscule compared to the potential revenue and lessons learned in the different markets that you should just, you know. If you have the right product and you have the right messaging to at least see if a target market has potential, then what are you waiting for? Lea Alcantara: I think that’s a good point, and I think that’s a realistic point. Sometimes, especially to our listeners who are designers and developers, they kind of get into the weeds of, “Here are the particular pieces of processes and this is the right way to do it.” But is it right for the client or this particular project? And like you mentioned, are they wasting time really, because it sounds like? Are they focusing their time properly in the right direction? I do have a question in regards to design since I’m a designer. So far a lot of the discussion that we’ve been talking about is obviously text content and then developing solutions in order to showcase that content, but do you guys at all, especially when you have these human professionals or experts about the culture that they’re translating for, do you guys make any discussions or suggestions about the design, for example, like color or imagery is very, very important and nuanced when attached to specific wording as well. Michael Harris: Yeah. With modern front-end frameworks and things like that, we used to have huge issues with design around like text not wrapping correctly or being cut off and stuff like that. Michael Harris: Things like that I think have gotten a lot better. Michael Harris: So we don’t have to spend quite as much time on those kinds of details. Where this really I think can become a problem is when you’re going into right to left languages. A lot of times, ideally, you would have a mirrored layout and things like that. It’s just not always possible. I did learn early on that you can sometime have imagery and things on your website that you think are fairly innocuous that are not received well in a target market. Michael Harris: Also, with right to left languages, in the Middle East, there is no such thing as like a cutesy little devil, like we can’t have any kind of like little demon imagery or anything like that on a website. It’s not going to go over there. Michael Harris: We do sometimes provide in that area like localizability reviews. Michael Harris: So we will have set up a bug trapper like Jira or something and we will have Arabic linguist go through the whole site and look at the different elements and say like, “This should be mirrored. This looks weird to us, like this is a concern.” And then sometimes they will also, you know. If there are things like that, that may look strange within that market, they will call it out. I will say that I think most clients tend to or most of the large enterprises that we work with don’t really have a lot of issues with their colors or their imagery really. It’s all pretty safe. Michael Harris: But you’re absolutely correct that you can sometimes make decisions that you think are harmless that might have extra weight in another market. Lea Alcantara: Well, the other design problems, so I’m Canadian. Lea Alcantara: So I’m used to both English and French content in packaging because it’s mandated by the government. Michael Harris: It’s something that we do discuss quite a bit. As far as the front-end stuff go now, they’re adaptive and they will usually stretch to accommodate the text. Michael Harris: So it might look like a little bit off, but it’s not truncated or anything. Michael Harris: And we will often do that by character count, so it’s the easiest way to do it with a linguist and everything and to say, “Well, you can only have 1.25 times as many characters as you have in the English.” I have done projects where we actually will set up kind of like a tool that will draw the box on the screen and put the text in it and then we will make sure that it fits. Michael Harris: So you can do things like that. It hasn’t come up for me a lot with bilingual packaging, to be honest, but back when I was in the medical device area, this was a huge, huge, huge problem because the software had generally all been written quite a while ago, like you don’t realize that a lot of the devices that are being used in the hospital have been in use for like 25 years and the software hasn’t changed a ton. So in those cases like the software wasn’t set up to handle text expansion at all, things are getting cut off. Michael Harris: So we would even have French expand a lot, the words are a lot longer than in English, and they tend to be a lot more verbose in their expression. Michael Harris: So we would get orders to do things like, “This has to be the exact same length as the English,” and we would really have to jump through hoops to meet that need, like we would end up having to do like abbreviations and things like that that made absolutely no sense. Michael Harris: We would tell the vendor like, “This is pretty borderline, like a French speaker is probably going to get this, but this isn’t right.” And a lot times in those cases, we just had to do that. Emily Lewis: Has that changed in software development today? Is it naturally kind of built from the core or are developers have the mindset to have that flexibility in mind? I know we do with websites. But is that translating also in software that you’re seeing? Michael Harris: Well, software is increasingly being written as web apps, right? Michael Harris: So the same kind of technologies that you can take advantage of to make sure that you don’t have that issue in a web page, and on most new software, you have those same things. We do occasionally still have issues with that when we’re working with like desktop software that is running on Windows, Vista or like that, .NET forms and things like that. Developers have become more conscientious, but it’s also just kind of a known risk that you might need to move some things around or do some abbreviations to make them fit on the page. But I’d say overall, with web app becoming the more prevalent type of software being developed, it’s become less of a problem. Emily Lewis: So we talked a little bit in the beginning about CMSs and the role that they’re playing, and I believe Ira and Michael, you both mentioned that things have improved. I’m just curious, in terms of like a proprietary system like an ExpressionEngine or a Craft or something along those lines that come with multi-language capability, have you experienced that that native out-of-the-box capability is enough for the basic kind of translation services that you’re providing or do they pretty much always still needs some sort of API connection? Ira Frimere: So Craft is a great example of they have the native language functionality built in, but what wasn’t built in was a way to easily work with third-party translators, whether independent freelancers or a translation service provider like ourselves. So it was all about being able to get the content exported from the CMS and then have the translations imported back in. So with Craft, we had a couple of enterprise customers who had transitioned from ExpressionEngine or even from WordPress and adopted Craft and they had asked us for easy ways or seamless ways of handling translations. So in that case, we actually went off and built our own plugin for Craft, all the translation program for Craft that essentially allows Craft entries to be exported and then have the translations imported, and so that’s kind of what Mike had talked about earlier in our conversation was it’s not just about the CMS being multilingual, but being built in a way that allows for professional translators to help translate a website without having to be logged into the administrative panel and doing a bunch of copy paste. So that is kind of what we ended up doing for Craft. Emily Lewis: And I think it’s probably worth it to be a little more specific. When we’re talking about a CMS being multilingual, what are the kinds of features that come with that? I mean, I certainly know ExpressionEngine and how it supported that, but Lea, I think we’re not using that for Craft right now in some sort of weird way, are we? Michael Harris: [Laughs] Yeah. So I think the big thing when you talk about a CMS being multilingual, what you’re really looking for it to be able to do is recognize certain content as the source, duplicate that content and then handle all of the things that come along with that duplication via building URLs, mapping your images and other static resources onto the page and also keeping track of the translation status between the translated page and the source. Michael Harris: Because we generally would want to know if you made a change to the English page and that change was not yet been carried over onto the translation, you’re going to want some indication of that translation was out of date. Ira Frimere: It’s a parent-child thing so the source can be the parent and the target languages are the children, and you want them to meet. They can differ from each other, but you want linkages between them so you can track what those differences are. Michael Harris: Now, another thing that maybe not universally supported is the ability to do some kind of review in context. We talked about text expansion and problems like that. We also have an issue that translators, when they’re translating, might not always be able to look directly at the web page. Michael Harris: And when they are translating certain chunks of texts, they might miss a nuance that they would have recognized if they were working on the full web page. So we usually do suggest to the linguist, if they are able to log in and see the page hosted and look over their translation and have a chance to go back and make any changes if they decide that they could have made a better choice once they see it on the page. So in order to do that, we have to have some kind of like preview functionality that would allow us to show that to our linguists before the page is actually hosted. Michael Harris: And that’s not necessarily a completely localization feature, but it’s definitely something that you want to keep in mind when you’re looking at your CMS, like is it going to be possible for you to do a review of those translated pages the same way that you would do a review of a web page. Emily Lewis: Fascinating. So we’re nearing the end of our episode. Could you both maybe share some resources that you recommend that could help our listeners learn more about the nuances of localization, maybe Ira for like business or content perspective. Ira Frimere: I think Wikipedia is obviously a wonderful resource, but all the different language service providers, if you check out our different websites, we all kind of have blogs and resource materials, and so even if you’re choosing a different language service provider or freelancers, I think you can get great content just by visiting the professional language service provider sites. Emily Lewis: And Michael, how about you, do you have any resources for the development site of localization that you can recommend, maybe something that designers and even front-end developers could look into to make them better prepared for new projects or even retrofitting projects for translation? Michael Harris: Yeah, of course. So I think that the first thing is to always just look at the framework that you’re working on and see what resources are available. All of the major frameworks has localization features that are very, very well documented and pretty easy to implement, and they will outline the best practices for where to put the content and there’s really nothing better you can do to get ready than that. For questions on, if you are the developer who want to understand the translation process a little bit better and maybe have a deeper appreciation for the role of the professional translator, you might want to look into some of our industry journals like MultiLingual, which is a bimonthly magazine that gets published, and also the American Translators Association Journal. These both have regular issues talking about different aspects of translation, be it software translation or industry-specific translation and really talking about the challenges that translators face. It’s going to be very difficult to find resources that exactly match up with what you’re building and what your area is, but I think that if you take a little time to understand what the translator is going to go through, it will give you a lot more perspective when you are planning for the internationalized feature of the website. Emily Lewis: Yeah, I love that. That’s a great suggestion. Lea Alcantara: Fantastic. So any final advice on localization best practices? Ira Frimere: From my side, it’s really about it doesn’t have to be a tremendous headache to just get started. Ira Frimere: And it’s never too late so give us a call. Michael Harris: Yeah, find a good language service provider and tell them what you need. Lea Alcantara: All right, so that’s all the time we have for today, but before we finish up, we’ve got our rapid fire ten questions so our listeners can get to know you a bit better. So we’ll ask you both the same question and we’ll start with Ira. Are you ready? Lea Alcantara: All right, first question, what’s your go-to karaoke song? Ira Frimere: I never do karaoke. Ira Frimere: It’s my life lesson learned a long time ago. Lea Alcantara: Michael, how about you, your go-to karaoke song? Michael Harris: You’re So Vain by Carly Simon. I don’t know why. Emily Lewis: All right, Ira, what advice would you give your younger self? Ira Frimere: Good question. I would say to marry my wife even earlier than I did. Emily Lewis: How about you, Michael, what advice would you give your younger self? Michael Harris: Oh, I think I would tell myself to be a bit more patient. Lea Alcantara: So what’s your favorite PG-rated curse word, Ira? Lea Alcantara: And you, Michael, PG-rated curse word? Emily Lewis: So hey, Ira, who’s your favorite superhero? Emily Lewis: How about you, Michael? Lea Alcantara: Fair. So Ira, what’s your favorite time of the year? Michael Harris: The fall, I love the fall. Emily Lewis: If you could change one thing about the web, what would it be, Ira? Ira Frimere: Get rid of the creepy ads. Emily Lewis: Michael, how about one thing about the web that you would change? Michael Harris: Oh, boy, yeah, I think along the same lines of what Ira is doing. I’m really creeped out by the fact that every time I like offhandedly mention something I saw at Macy’s, it’s suddenly in my kitchen like it’s in my computer, it suddenly shows up on my Facebook feed, that’s really starting to creep me out, like I have started putting my phone in the refrigerator because I’m scared who’s listening to me. Lea Alcantara: So what are three words that describe you, Ira? Ira Frimere: Passionate, loyal, and loving. Lea Alcantara: Michael, how about you, your three words? Michael Harris: Resourceful, curious and friendly. Emily Lewis: How about three words that describe your work, Ira? Ira Frimere: Interesting, rewarding and challenging. Emily Lewis: Michael, what are three words that describe your work? Michael Harris: [Laughs] Busy, [laughs] rewarding, and fun honestly. Lea Alcantara: Cool. What’s your favorite meal of the day, Ira? Lea Alcantara: And your favorite, Michael? Emily Lewis: All right, last question, gentlemen. Ira, coffee or tea? Lea Alcantara: Awesome. So that’s all the time we have for today. Thanks for joining the show. Ira Frimere: Yeah, thank you so much for the opportunity. I really appreciate it and I really enjoyed it. Michael Harris: Yeah, thanks for having us. This was really fun. Emily Lewis: Ah, I agree. In case our listeners want to follow up with you, where can they find you online, Ira? Ira Frimere: Well, our company website is acclaro.com and my email is [email protected]. Emily Lewis: And how about you, Michael, where can listeners find you online if they wanted to follow up? Michael Harris: Yeah, if you want to reach me at Acclaro, you can reach me at [email protected]. I’m also on LinkedIn. Emily Lewis: Excellent. Thanks again. This was a really interesting conversation. It was great having you on. Michael Harris: Thank you very much. Lea Alcantara: CTRL+CLICK is produced by Bright Umbrella, a web services agency invested in education and social good. Today’s podcast would not be possible without the support of these episode’s sponsors! Many thanks to Vector Media Group and Craft CMS! Emily Lewis: Don’t forget to tune in to our next episode when Tracy Osborn returns to the show this time to talk about web design fundamentals for developers. Be sure to check out ctrlclickcast.com/schedule for more upcoming topics.